The Tikanga MÄori Missions Council (TMMC) is part of Te Pihopatanga o Aotearoa (The MÄori Bishopric) that works in partnership with specific partners to provide mission support overseas in different forms. The main function of the Council is to co-ordinate Mission Team visits, approve and distribute grant funds, and is a body to receive and make reports on the Te Pihopatanga o Aotearoa Mission activities to its benefactors. Anglican Missions funding allows the Council to meet and report. 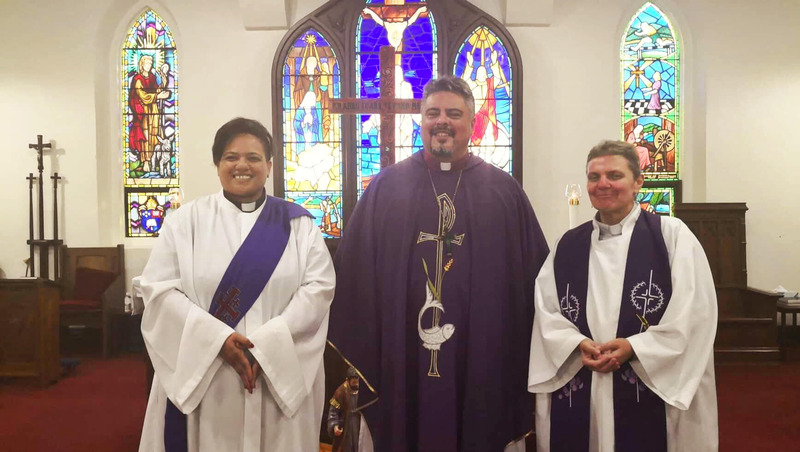 Te Pihopatanga is part of the Anglican Indigenous Network (AIN) which comprises Anglican indigenous minorities in countries that the late Archbishop Paul Reeves and Archbishop Te Whakahuihui Vercoe made contact with in the early 1970s. Participating countries include Aotearoa New Zealand, Australia, Canada, Hawaii, USA and Torres Strait Island. The AIN gathers every two years, alternating hosts and venues. The Steering Committee Secretariat is based in Aotearoa New Zealand. Of the total funding available for 2019, NZ$40,000 will enable Aotearoa delegates to attend the gathering this year in Hawaii. TMMC also supports the Australian Maori Mission which continues to develop. In the Diocese of Perth and the Diocese of Brisbane, NZ$10,000 will promote and strengthen Minita a Whanau lay leadership, support stipendiary ministry, and continue work setting up a communications network. In the Diocese of Sydney and the Diocese of Melbourne, NZ$10,000 will similarly be used to grow the already well established outreach to Maori, supply Minita a Whanau resources, and provide training opportunities for ministry teams. NZ $5000 will be made available for short-term mission visits with the focis this year being to the Diocese of Plynesia which is heavily committed to the mitigation of climate change and outreach awareness programmes on pollution of plastics. The final $5000 of funding will help towards the costs of four TMMC meetings this year, providing oversight for the Mission in Aotearoa Minitia a Whanau Programme and the AIN and a review of the TMMC mission direction. Provide Ministry and Training among the Maori congregations living in Australia and setting a Memorandum of Understanding with Local Episcopal authorities regarding licencing and resources. This project has been developing for several years. Te Pihopatanga o Aotearoa have a well-established outreach in the Diocese of Sydney and Melbourne; and are continuing to delelop links with the Dioceses of Perth and Brisbane. Te Pihopatanga o Aotearoa's companion diocese relationship with Hawaii started in the 1970s. They have an exchange and letters of agreement with the Bishop of Hawaii and the Episcopal Church of Native Hawaiian Ministry. Over the years Te Pihopatanga o Aotearoa has established a relationship through the Aotearoa Minita A Iwi programme that involves training and sharing of resources. Te Pihopatanga o Aotearoa have helped the Native Hawaiians to establish suitably qualified Ministry for their people. Te Pihopatanga o Aotearoa wish to continue this relationship through regular visits and an exchange programme for interns discernment and ministry training. Te Pihopatanga is part of the Anglican Indigenous Network which is comprised of Anglican Indigenous minorities in Countries that the late Archbishops Paul Reeves and Te Whakahuihui Vercoe made contact with in the early 1970’s. Participating countrie s/peoples include; Aotearoa NZ, Australia Aborigines, Canada, Hawaii, USA and Torres Strait Islanders. The AIN gathers every two years alternating hosts and venues. This year (2019) they will be meeting in Hawaii. Our Mission Action magazine for Dec 2017 – Feb 2018 includes an article on the AIN Conference held in Canada in Aug-Sept 2017. Read the AIN 2017 report.